Music fundamentally operates on two ideas: Tension and Release. The idea is to build up some form of emotional stress and to then break it, which creates a feeling of euphoria. With that in mind, tension is really one of the most important elements of the song. Without the tension, there is no up or down. There is no anticipation. The story of the song falls flat. We use tension to lead one part of the song into the next. Here are four types of tension and some accompanying techniques. Musical tension comes from pitch relation. Our key signature is defined by a fundamental chord (The I Chord containing the tonic note of the key). This is our musical “home base”. This chord and chords that share similar notes are very comfortable to the listener. Then we have chords that really clash with our fundamental chord. For example a seven chord, two chord or a four chord. These are chords that share very few notes with our fundamental chord. We psychologically want to hear the notes of our fundamental chord, so the chords that share few notes make us tense. We want them to resolve and go back to the comfort zone. So incorporating these chords into our progression is a really great way to create tension. We can utilize this musical tension for creating transitions, like moving onto the four chord or seven chord as a means of getting out of the verse. We make the listener want that fundamental chord which builds anticipation and keeps them holding their breath. We then resolve back on our fundamental chord when we land in our chorus. Imagine you’re on the five chord of your scale but underneath the main musical bed there is a string pad that is adding a note that doesn’t belong in the chord. If we start automating the string pad to come up in level that makes the discordance more prevalent. 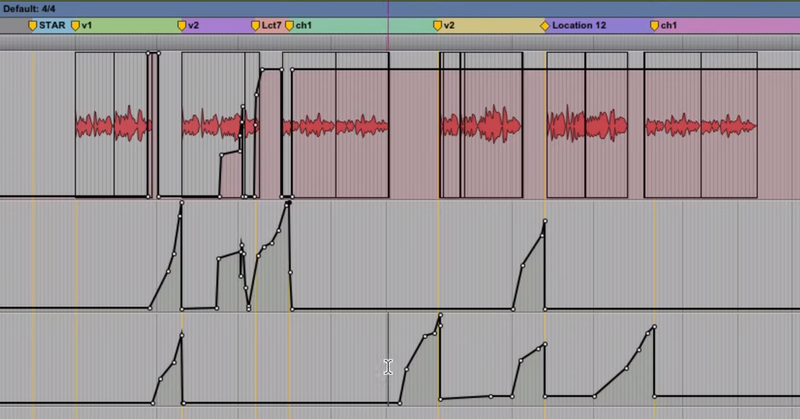 In this way, as mixers, we are using level automation to create tension. If we don’t have musical tension built into the arrangement (and feel some is needed), we can use something like a pitch-shifter to create notes that weren’t there to begin with. This works very well on monophonic sources, like creating fake harmonies on a vocal. In a song, we usually have a specific rhythmic structure that creates a hypnotic pattern through repetition. This pattern lulls the listener into a comfort zone. If we suddenly break up that rhythm it creates tension because we are no longer in that trance. We become addicted to that pattern and desire to hear that pattern again. In the post-production stage, we have the ability to alter the rhythm in sections, we can chop a section of drums and or bass. Or we can physically copy, paste and rearrange into something that’s different momentarily which can create a jarring effect. One of our most powerful tools when mixing is the mute button. Even though it’s an arrangement idea, we can still use it in the mix to create tension. We can also use a delay on a specific drum/rhythmic element to create fills, effectively altering the rhythmic pattern. In sonics, too much of something that is out of balance can be uncomfortable and be even painful or distracting. But over a short period of time, it can become tense. If, for example, you were to take the entire drum track and chop out all of the low end; if you left the drum track like that it would feel thin and disrupt the rhythmic impact. However, if you did that for a short period of time we would create tension because the listener wants the low end to come back. We hear that all the time in EDM music when a filter is used to cut the lows and then slowly brings it back, and when it does it creates a feeling of release. Another example of this would be distortion. Imagine a vocal singing along and as it’s going it becomes more and more distorted. It starts clean and becomes more garbled and unclear. Painful even for a short period of time. Now imagine that vocal suddenly becomes clear again. Here we have another type of tension and release. This idea can apply to musical elements as well. Delay and reverb can also be great for creating tension. This can work in two ways. Taking all of the ambience away from your mix can make things uncomfortably raw/stark feeling, which in turn creates tension. Or, making something exceptionally reverberant or pulling up delays can make something feel cluttered and blurry, which also creates tension. Put FilterFreak on your instrument bus and set up a ramp up high-pass filter. Set the frequency spectrum to start from 0 Hz and ramp up to 20 kHz. Set the rate to cover the number of measures it takes for your verse to transition into your hook, pre-chorus to hook, or whatever you want. Automate the bypass so FilterFreak only comes in for your transition, this way as the transition is taking place, all of the low end of the mix is disappearing from everything except the vocal. You can do something similar with any high-pass filter, but I like FilterFreak because it’s very easy to modify this technique to create your own spin by driving the signal to saturate or messing with the resonance. 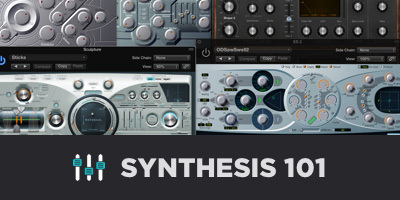 You can get a lot of “analog” filter artifacts that sound very cool very quickly. Create an aux with the heavy distortion on it. Send your drums, bass and main musical instruments to that aux and turn the dry signal all the way down. Set the drive to be aggressive and broken up without completely destroying the harmonic integrity of the instruments. Pull the volume of the aux all the way down and set the level to automate. Ride in the distortion anywhere that would benefit from additional tension (subtly for feel or aggressively to really push the listener). Enable level automation of all your reverb and delay channels. Depending on the effect you want to create, roll the ambience up or away at inflection points in your song. It’s not a bad idea to ride your ambiences throughout in subtle ways regardless, as the presence of a reverb or delay can influence the way a phrase is felt, particularly on vocals. “Feel” tension is a subset of sonic tension, but perhaps a bit more subtle. There are certain qualities to a sound that can create tension simply by existing. Certain tone ranges and specific contouring of dynamics can make things feel very tense. For example, our ears are extra sensitive to the presence range of the frequency spectrum. The 1-4 kHz range really gets in the ear. Exaggerating this range can make something feel very tense, imparting a feeling of stridency or urgency. Removing the lower mids can create a similar effect — that range tends to be where the roomier rounder aspects of an instrument live, and etching them out can create a feeling of coldness. In this way, an EQ can become an emotional control, not just a sonic one. Dynamically we can make things feel tense in two distinct ways. One way is to over-compress a source. Even if we are free of artifacts, the feeling of resistance on a signal inherently creates a sense of tension. Next time you’re working on a Hard Rock or Rap vocal, try grabbing a soft-knee compressor like the Fabfilter Pro-C 2. Pull the threshold way down and set the ratio very low, like 1.5:1. This will put continuous “resistance” over the vocal and create a distinct feeling of tension that implies struggle or conflict. Conversely, very loose dynamics can create tension. Sounds that burst in and out disrupt the flow of a song and create tension through a jarring effect. If there are one-time events incorporated into the arrangement I sometimes like to turn them up just a bit too loud to kind of slap the listener a little. Or, simply automating up a particular drum hit every other bar can act like a little rattle to shake things up. A fun way of doing this is to take a really aggressive compressor like the CLA-76, slam your snare through it, and then automate the CLA-76 to un-bypass on the four beat of every other measure. Bonus points if you put on a low diffusion setting of DVerb as an insert in front of the CLA-76 so that you get a “gun-shot” effect. I mixed a record years ago with this set up going, so there was a predictable crunched up snare at the end of every other bar — but I dropped the last snare of the verse off right before the chorus. This created the expectation of this jarring hit, and then took it away, creating several layers of tension. I automated the downbeat of the chorus to kick in extra hard, and so that jar came back to create a feeling of impact and excitement. Tension and the manipulation of tension and release is probably the single most important aspect of how a listener experiences a recording. It’s important to recognize this on every level from the notes, to the groove, to the mix. It’s also important to recognize that the performance, the music and the mix are all integrally related and working toward the same idea to really give the listener the fullest feeling of the song.